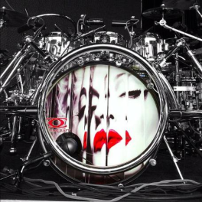 Your Drumhead, Your Artwork... Your Low Cost! 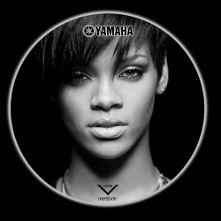 DrumStatic is a front bass drumhead company that uses your artwork or we can design something from an idea you might have. 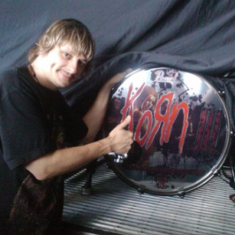 Cost for us to design your drumhead starts at $25 an hour. Most drumheads are designed in an hour. Here at DrumStatic we are drummers as well and we know how much it costs to replace cymbals and sticks so the logo of the band on your front head shouldn't cost what you made at your last gig. 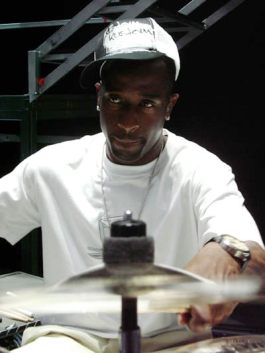 DrumStatic has made drumheads for such great drummers like Brian Frasier-Moore (Janet Jackson, Justin Timberlake, and Madonna), Eric Singer (KISS), John Blackwell (Prince) Casey Grillo (Kamelot) John Spinelli (Seminole Music) to name a few. We have also made heads for such companies as Zildjian, Beatnik, and ddrum. Let us know if we can make you a custom drumhead sticker. Playing on a new Drumstatic LED drum head! 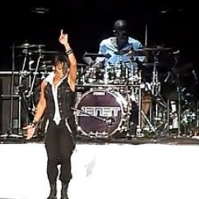 Brian plays with so many great artists, such as Janet Jackson and Madonna (pictured above) and is a big supporter of Drumstatic. Copyright 2013. 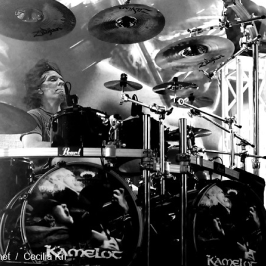 Drumstatic. Web design by ColorAmerica, Inc.